Retiring professors Brad Antanaitis, Roxanne Lalande, Don Miller, and Lorenzo Traldi have been elected to emeritus status by the Board of Trustees. The following citations for them will appear in the program for Lafayette’s 183rd Commencement on May 19. Enjoy more stories and photos about Lafayette’s 183rd Commencement. 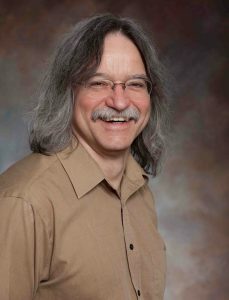 BRADLEY C. ANTANAITIS, associate professor of physics, has been a member of the faculty for 34 years. He received a Bachelor of Arts degree from Northeastern University in 1967 and master’s and doctoral degrees from Columbia University in 1976 and 1979, respectively. Antanaitis joined the faculty as assistant professor in 1984 and was promoted to associate professor in 1990. Before coming to Lafayette he had carried out interdisciplinary research at IBM’s Thomas J. Watson Research Center, at the University of Michigan’s Institute of Science and Technology, and in the Department of Physiology and Biophysics at Albert Einstein College of Medicine. Among his teaching areas are introductory calculus and non-calculus-based physics, medical and biological physics, introductory quantum physics, thermal physics, advanced classical mechanics, electromagnetic fields and waves, quantum mechanics, and advanced topics in magnetic resonance methods. Antanaitis’ biophysical research interests span a wide range of topics. Among these are structure-function correlation studies of numerous metal-bearing proteins and enzymes. They also include characterization of promising anti-breast-cancer compounds using multi-dimensional NMR spectroscopy and molecular dynamics. Most recently, his research focuses on the application of non-linear dynamical and statistical mechanical methods to various time and base-pair series (heart-rate variability, international exchange rates, brain waves, and coding and non-coding segments of DNA). He is the recipient of grants from the Howard Hughes Medical Institute, McCutcheon Foundation, National Science Foundation, and Pew Foundation. The author or co-author of numerous articles in scholarly journals, book chapters, problem sets, and textbook and software reviews, he has made many presentations and delivered many invited talks. He has mentored students with a variety of interests and backgrounds in more than 60 independent studies, honors theses, and EXCEL research projects. He has been a member of three faculty committees, Appeal and Grievance, Faculty Academic Policy, and Student Appeals, and many other College-wide and departmental committees. He served as chair of the Committee on the Evaluation of Teaching. He is founder and mentor of the Biophysics Research Group, a collection of interdisciplinary explorers that now includes 20 current and former students and faculty from physics, biology, and neuroscience. Antanaitis is a member of the American Physical Society, American Chemical Society, and American Association for the Advancement of Science, among other professional organizations. 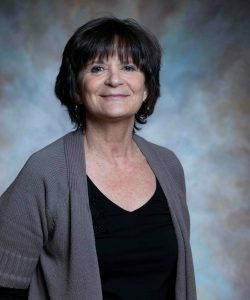 ROXANNE LALANDE, professor emerita of foreign languages and literatures, retired effective Jan. 1, 2018. She has been a member of the faculty for 37 years. Lalande holds three degrees from the University of Iowa, Bachelor of Arts (1972), Master of Arts (1973), and Doctor of Philosophy (1982). She joined the faculty as lecturer in 1981 and was promoted to assistant professor in 1982, to associate professor in 1988, and to full professor in 2000. Her courses include an interim-session course in France on French commerce and culture. She played a major role in developing the College’s coordinate major in international economics and commerce and was co-director of an initiative at Lafayette and Ursinus College to enhance foreign-language instruction through the use of digital technologies. Lalande guided students conducting independent research on topics from Enlightenment philosophy to the epistolary novel. She is the recipient of Lafayette’s Marquis Distinguished Teaching Award; James P. Crawford Award, for demonstrating a high standard of classroom instruction; and Thomas Roy and Lura Forrest Jones Award, for superior teaching and scholarly contribution to her discipline. Lalande’s book Intruders in the Play World: The Dynamics of Gender in Molière’s Comedies was named an outstanding academic publication by the Association of College and Research Libraries. She also is author of A Labor of Love: Critical Reflections on the Writings of Marie-Catherine Desjardins (Madame de Villedieu), and translator and editor of Love Notes and Letters and The Letter Case by Madame de Villedieu. The recipient of grants from the National Endowment for the Humanities, Andrew W. Mellon Foundation, Richard King Mellon Foundation, and Florence Gould Foundation, among others, Lalande is author or co-author of many scholarly articles and book chapters and has delivered numerous conference presentations and invited talks. As president of the North American Society for Seventeenth-Century Literature, she organized the society’s 40th annual conference, hosted by Lafayette in 2008, and edited the conference proceedings. Lalande was head of the Department of Foreign Languages and Literatures from 1998 to 2004. From 2005 to 2008 she was director of the College’s Study Abroad program. She chaired several committees of the faculty, including the Academic Research and Diversity committees, and was a member of other faculty committees, including Appeal and Grievance, Enrollment Planning, and Student Life. DONALD L. MILLER, John Henry MacCracken Professor Emeritus of History, retired effective Jan. 1, 2018. He has been a member of the faculty for 41 years. Miller received a Bachelor of Arts degree from Saint Vincent College in 1966, Master of Arts from Ohio University in 1967, and doctorate from the University of Maryland in 1972. He joined the faculty as assistant professor in 1977. He was named MacCracken Professor in 1991. Miller is the recipient of Lafayette’s Marquis Distinguished Teaching Award; Thomas Roy and Lura Forrest Jones Award, for superior teaching and scholarly contribution to his discipline; Thomas Roy and Lura Forrest Jones Faculty Lecture Award, for excellence in teaching and scholarship; and Mary Louise Van Artsdalen Prize, for outstanding scholarly achievement, in addition to the Student Government Superior Teaching Award. The recipient of five fellowships from the National Endowment for the Humanities, he has mentored many students in EXCEL research, independent studies, and honors theses. Miller is author of Supreme City: How Jazz Age Manhattan Gave Birth to Modern America; City of the Century: The Epic of Chicago and the Making of America; The Lewis Mumford Reader; Lewis Mumford: A Life; The Kingdom of Coal: Work, Enterprise, and Ethnic Communities in the Mine Fields (with Richard Sharpless, professor emeritus of history); and The New American Radicalism: Non-Marxian Radicalism in the 1930s. He is completing a book on Ulysses Grant and the Vicksburg Campaign. City of the Century won the Great Lakes Book Award for outstanding nonfiction work of 1995, and Lewis Mumford was named a notable book by The New York Times. A three-time Pulitzer Prize and National Book Award nominee, Miller is the recipient of the Victorian Society’s Book of the Year Award and finalist for the Bancroft Prize and National Book Critics Circle Award. His books on World War II include Masters of the Air: America’s Bomber Boys Who Fought the Air War Against Nazi Germany; D-Days in the Pacific; and The Story of World War II. His books have been published in 12 countries in Europe and Asia. HBO is developing a miniseries, produced by Steven Spielberg and Tom Hanks, based on Masters of the Air. Miller worked with Spielberg and Hanks on the Emmy-winning HBO series The Pacific and was co-producer and co-creator, with Hanks, of the HBO documentary He Has Seen War. Miller has been writer and consultant for many productions, including History Channel’s WWII in HD, winner of three Emmys; The Air War, inspired by Masters of the Air; and, recently, GI Jews: Jewish Americans in World War II on PBS. He is co-founder and member of the Presidential Counselors of the National World War II Museum. 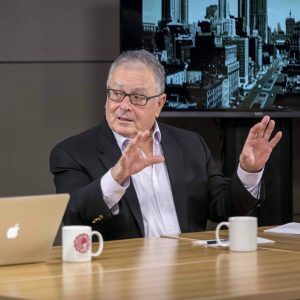 He is a member of the Advisory Board of Gilder Lehrman Institute of American History, former member of the Board of Trustees of the National Museum of the Mighty Eighth Air Force, former fellow at All Souls College, Oxford, and senior lecturer at Leiden University in the Netherlands. LORENZO TRALDI, Marshall R. Metzgar Professor of Mathematics, has been a member of the faculty for 38 years. He received a Bachelor of Arts degree from Queens College in 1976 and doctorate from Yale University in 1980. Traldi joined the faculty as assistant professor in 1980 and was promoted to associate professor in 1986 and to full professor in 1994. He was named Metzgar Professor in 2001. Traldi has taught precalculus, finite math, calculus, statistics, discrete math, a first-year seminar on paradoxes, linear algebra, geometry, graph theory, complex calculus, abstract algebra, real analysis, set theory, topology, and algebraic topology, among other courses. His research has focused on the interrelationships among algebra, graph theory, knot theory, matroid theory, and network reliability. The recipient of grants from the U.S. Air Force and National Science Foundation, Traldi is author or co-author of more than 70 articles in scholarly journals and has made contributions to more than 30 published articles authored by others. He has made presentations at many conferences, seminars, and professional meetings. Traldi has mentored many students in independent studies, honors theses, EXCEL research, and National Science Foundation’s Research Experience for Undergraduates. He is the recipient of Lafayette’s Marquis Distinguished Teaching Award; Mary Louise Van Artsdalen Prize, for outstanding scholarly achievement; and Thomas Roy and Lura Forrest Jones Award, for superior teaching and scholarly contribution to his discipline. Traldi was head of the Department of Mathematics from 2003 to 2006 and associate head from 2013 to 2015. He has chaired several committees of the faculty, including Appeal and Grievance; Promotion, Tenure, and Review; Student Appeals; and Student Conduct, and served on others, including Curriculum, Library, and Governance. He chaired the Ad Hoc Committee on Standards and Procedures for Promotion to Full Professor and Ad Hoc Committee on Disciplinary Procedures and Appeals. 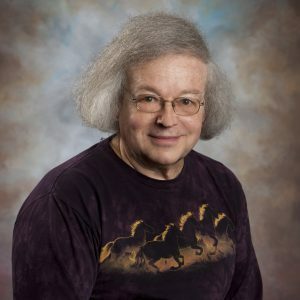 He is a member of the American Mathematical Society and American Association of University Professors and fellow of the Institute of Combinatorics and its Applications.